Happy Sunday loves! Everyone and their mom seems to have a teddy coat these days, and for good reason! Finally fashion meets function ha! I of course jumped on this trend (a little late as per usual) and now own two different teddy coats. One is from Zara and one is rom Lulus! Unfortunately the Lulu’s coat just sold out but you can join the waitlist! I wanted to put together a gallery of some of the ways I have styled this coat. I was a little apprehensive since this trend came on strong, and it seems it can go the oversized or cropped route. I have one of both! I just got this one from Lulu’s, its oversized, a one size fit, with deep pockets and a snap closure. It’s SO warm. I just wore a thin sweater under it and its 40 degrees here! I’m obsessed. 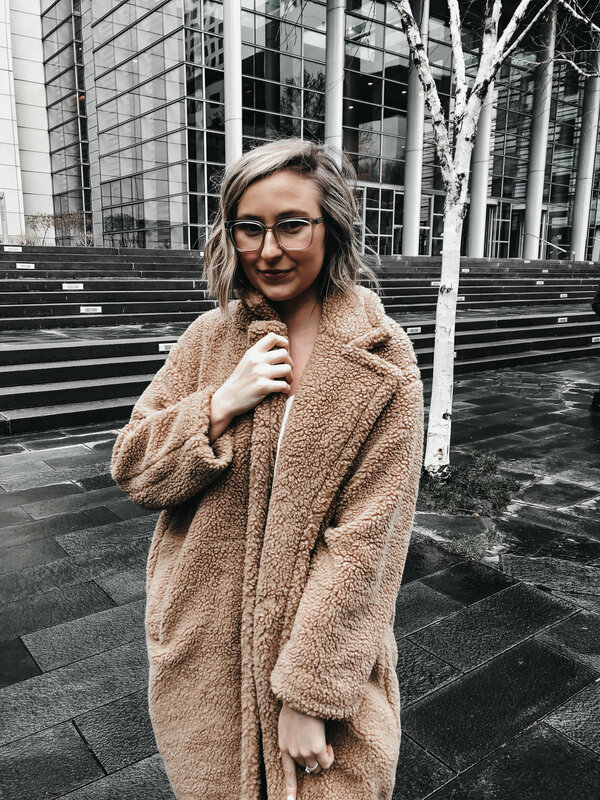 Let me know your favorite teddy coats you’ve found!